If you have any questions about this didgeridoo, don't hesitate to email us or give us a call on +61 8 9430 6009. In our Didgeridoo Buyers Guide, Ben explains what to look for when buying your first, second and even third didgeridoo! To watch, press play on the video below (it's a playlist) or click here for the full buyers guide video list and notes. We accept Paypal, Visa, Mastercard, Amex and Bank Transfer payment methods. To order, simply add the didgeridoo and additional items you want to the cart by pressing the Add to Cart button and when you're finished, head to the checkout, enter your billing information and payment details and complete the checkout process. Once you've completed the checkout you'll receive an order confirmation email. If you have any questions after you submit your order feel free to send us a request on the Contact Us page. Once the order ships, you'll get an email update with a tracking number. Orders are shipped usually within 24 hours of receiving them (unless we have a question for you). We're open 7 days a week so if you have an urgent request you can also call us during business hours Perth time (GMT+8). The current time at the shop is listed on the Contact Us page. Every didgeridoo ships with free online access to our Didgeridoo Dojo Beginner Sessions, that's $39 USD of extra value completely free of charge. 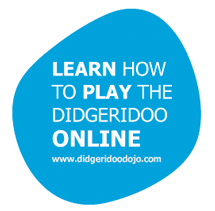 Didgeridoo Dojo is our online learning platform and the most comprehensive "learn to play didgeridoo" resource on the planet! So many didgeridoo players and beginners struggle because of lack of access to good quality training and in-person lessons. This is especially true for people outside of Australia. To solve this problem we built the Didgeridoo Dojo, an online platform that allows anyone to learn the didgeridoo no matter where they are. The goal of Didge Dojo is to provide the closest thing to a one on one experience as possible. We've used our thousands of hours of experience in teaching the didgeridoo in-person, to create a structure that makes learning the didgeridoo fast, easy and most importantly, FUN! With comprehensive video lessons ranging from beginner techniques like making the drone sound and circular breathing to advanced techniques like didgeridoo beatboxing presented by the hilarious Nathan Kaye, Didgeridoo Dojo has something for everyone! Our beginner lesson series will put you on the fast-track to becoming a didgeridoo player and will have you sounding fantastic in no time at all. Think of our didgeridoo lessons as your own private one-on-one class. One of us, with you, sitting down, learning a new didgeridoo technique. What's included: The beginner lesson set covers everything you need to know to start playing the didge at the entry level. 1. Getting you familiar with the didgeridoo, positioning of the didge when you play and how a didgeridoo actually works! 8. And finally some bonus intermediate and advanced lessons to give you a taste of what that next level of playing feels like! We know you will enjoy your didge journey! 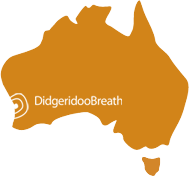 Access to the beginner sessions is normally $39 USD but is completely free with any didgeridoo purchase.